Can cancer be prevented? Decades of research have shown that a person’s chances of getting cancer depends on a mishmash of their genes and their environment, but also certain aspects of their lives, many of which they can control. Today saw the publication of a landmark Cancer Research UK-funded review by Professor Max Parkin, outlining the latest evidence behind the preventable causes of UK cancers. As the press release says, these latest calculations, based on predicted cases for 2010, show that smoking, diet, alcohol and obesity are behind more than 100,000 cancers. This is equivalent to one third of all cancers diagnosed in the UK each year. And this figure further increases to around 134,000 when taking into account all 14 lifestyle and environmental risk factors analysed in this study. Providing this type of information is categorically notabout blame – every two minutes someone in the UK is diagnosed with cancer, and each of them have a unique set of circumstances that led to their cancer. There are many things that together affect a person’s chances of developing cancer – some of them can be controlled, some can’t. But in both cases, these people can do things to reduce their individual risk of cancer. So this type of information is crucial in equipping people with the information they need to stack the odds in their favour. Such information is also crucial to guide policymakers in planning public health interventions. For instance, decades of work documenting the risks of smoking tobacco and the benefits of giving up – much of it by our scientists – has contributed to increased acceptance of tobacco as a major health hazard and led to many successful tobacco control measures. We’re now starting to see the effects of these policies in lung cancer rates amongst UK men. But there’s more work still to do. We’re also aware of the irony of publishing this research just before Christmas, when many of us enjoy one too many mince pies, or a few too many glasses of mulled wine. 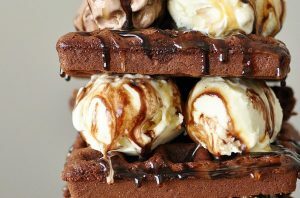 In our press release, we explain that we’re not expecting everyone to watch what they eat and limit alcohol intake during the festive season, and we don’t want people to feel guilty about indulging a bit more than usual. Rather than focus on short-term behaviour changes, healthy living is about long-term lifestyle tweaks that can really make a difference. Regularly taking the stairs rather than using the lift, drinking a couple fewer beers or wines every week, eating a little more fruit, etc. Incorporating a series of such healthy behaviours into your daily life can make a significant difference to your future risk of cancer. * Tobacco – although the number of smokers has fallen dramatically over the last 30 years, and lung cancer rates have fallen too, UK smoking rates have stagnated over recent years at around 22 per cent. We’re doing all we can to help people quit and protect children from the influences that lead them to become smokers. That’s why we’re campaigning for plain packaging – so that young children won’t be exposed to the tobacco industry’s last marketing channel. * Overweight – obesity and being overweight was the second biggest cause of cancer in the UK in the new study. Despite this, people are still unaware that their weight can have such a strong influence on their cancer risk. In a Cancer Research UK survey, only 3 per cent of people named obesity as something that can increase cancer risk. We’re using campaigns like Active Fatto help people understand that keeping a healthy weight can really help reduce the risk. 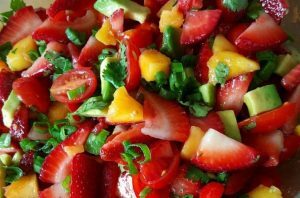 * Fruit and vegetables – the reason fruit and veg come out so highly in this analysis is probably that many people in the UK eat fewer than their recommended 5 portions a day. Fruit and veg are an important source of vitamins, minerals and fibre, but don’t rely on supplements to get the nutrients you need – they haven’t been shown to reduce cancer risk and, in some cases, they may be harmful. * Alcohol – you don’t have to cut out alcohol completely to reduce the risk of cancer – the more you cut down, the more you can reduce the risk. You could try tracking your drinking for a few weeks, to see how much alcohol you really drink – many people underestimate the amount. Use our drinks tracker or download the NHS app on your iPhone or android device. * Occupation – some people are more at risk of cancer as a result of chemicals or practices used in their occupations. But improved safety in the workplace means fewer people will be at risk now than in the past. If you’re concerned about your work environment, talk to your managers or you could contact the Health and Safety Executive. * Sunlight and sunbeds – getting too much exposure to UV light, whether from the sun or sunbeds, is the main cause of skin cancers. And rates of malignant melanoma, the most serious form of skin cancer, are rising fast. Cancer Research UK runs SunSmart, a national skin cancer prevention campaign, to help people know what they can do to reduce the risk of sunburn and skin cancers. At the moment, we’re running ‘R UV UGLY?’, which offers sunbed users the chance to see what’s really going on in their skin. Find out more and take part on our facebook page. * Red and processed meat – red meat is any fresh, minced or frozen beef, pork, lamb or veal. And processed meat means anything that’s been preserved (apart from by freezing) – so it includes salami, bacon, ham and sausages. Eating small amounts of these meats won’t have a huge effect on cancer risk, but it’s a good idea to limit your intake to only a couple of times a week. Here’s a post from our archives about how red meat might increase the risk of bowel cancer. * Radiation – we’re all exposed to natural background radiation all the time, from the earth and from space. And occasionally we are exposed to higher doses, such as from X-rays, radiotherapy or travelling by aeroplane. * Fibre – eating a high-fibre diet can reduce the risk of bowel cancer – it helps speed up food passing through the digestive system, and dilutes waste food, so that cancer-causing chemicals in our food aren’t in contact with the bowel wall for so long. * Physical activity – being active not only helps you keep a healthy weight, but also reduces cancer risk by itself. But you don’t have to slog it out in the gym for hours a day – just 30 minutes of moderate activity on 5 days a week gives you the benefit. And even small bits of activity throughout the day add up. * Not breast feeding – breast feeding babies has been shown to reduce the risk of breast cancer – so if you’re able to, and not everyone is, it’s a good idea to try to keep it up for 6 months. * Salt – high-salt diets can increase the risk of stomach cancer, but other factors like the common bacterial infection Helicobacter pylori and smoking also play an important role. * Hormone replacement therapy – HRT is an effective treatment for menopausal symptoms, but it can increase the risk of cancer. If you’re considering starting or stopping HRT, it’s a good idea to talk to your doctor first. The wonderful friends at Avon have been busy! Not only can you buy the 2018 Australian Women’s Health Diary from Avon Representatives, you can also buy the perfect bag to put it in! 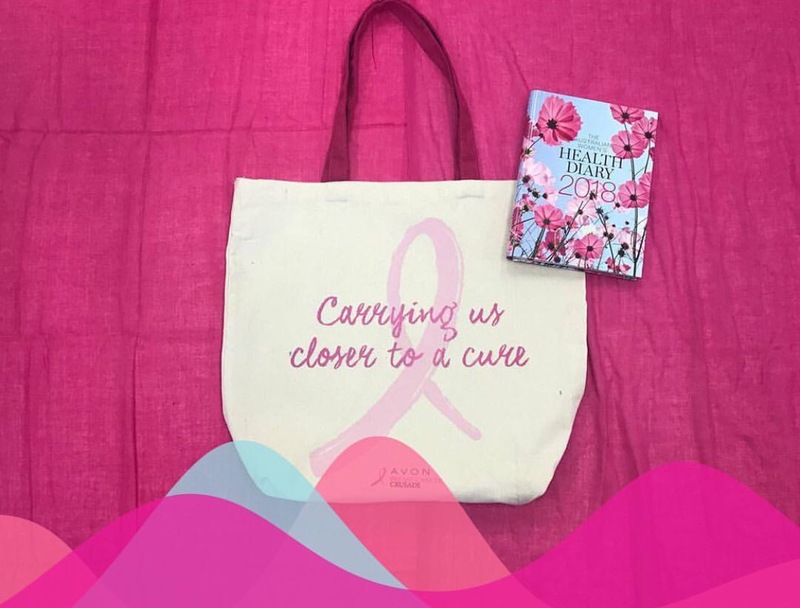 This lovely Tote Bag is on sale now for just $4.99 with funds raised going to the Avon Breast Cancer Crusade of which breast cancer trials are a recipient. 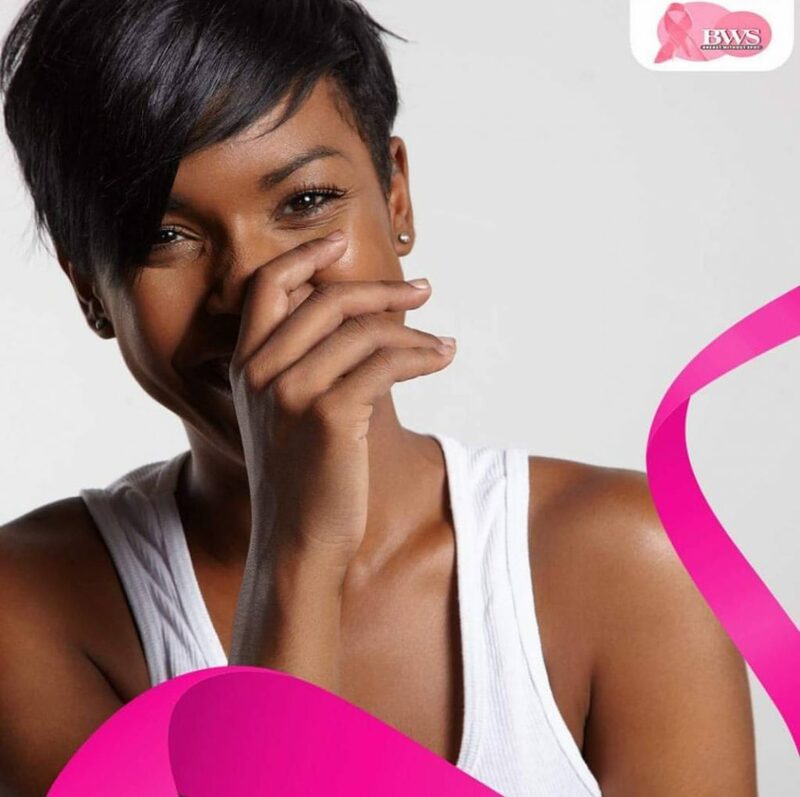 See your Avon Representative today or visit shopavon.com.au and help support all those affected by breast cancer.